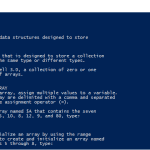 Powershell -NoTypeInformation | Applications, Examples. Powershell NoTypeInformation: why such a big interest? I chose to write on ‘Powershell -NoTypeInformation’ because so many people ask questions about it. In preparing to write on this topic, I was wondering why there is such a huge interest in ‘Powershell -NoTypeInformation’? 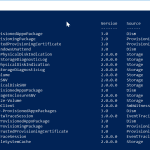 So, what is ‘Powershell -NoTypeInformation’? Good question! ‘Powershell -NoTypeInformation’ -actually the ‘NoTypeInformation’ bit is a PowerShell parameter found in some PowerShell commands. 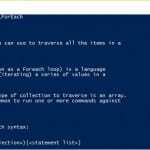 If you are new to PowerShell and want to know more about PowerShell command parameters, see the article PowerShell Commands. 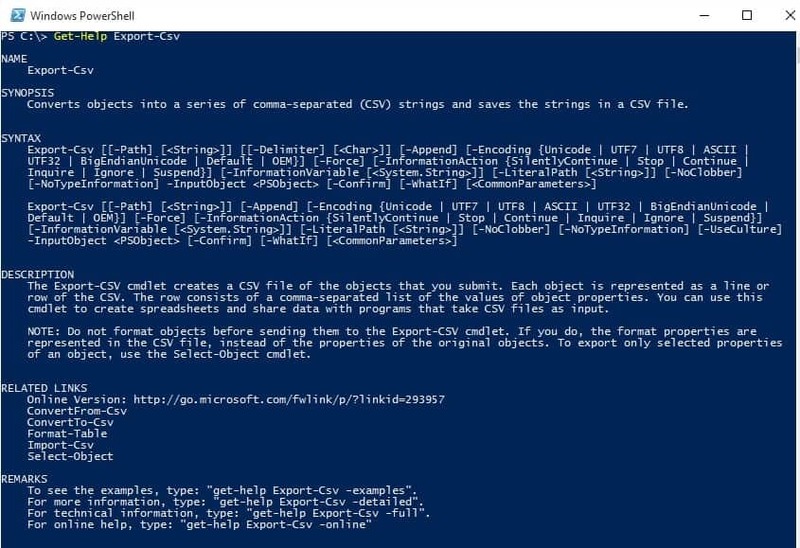 Most people searching for ‘Powershell -NoTypeInformation’ probably ran into trouble when they ran Export-Csv and want to know how to get rid of the annoying ‘TypeInformation’ left on top of the csv report. The above command will produce the result shown below. As you see from the figure, three PowerShell cmdlets have the ‘PowerShell NoTypeInformation’ parameter: ConvertTo-Csv, ConvertTo-Xml and Export-Csv. Depending on the cmdlets on your computer, you may have more. For the remaining part of this article, I will focus on Export-Csv cmdlet. The result of the previous command will outline the basic help information about the Export-Csv cmdlet. Notice the “TypeName: System.Diagnostics.Process” right on top? This is where the TypeInformation on your csv report came from! Notice that the TypeInformation is gone? See Figure below for details. Tis is the power of ‘PowerShell -NoTypeInformation’! I hope this have been helpful. Kindly leave comments below with your feedback. This entry was posted in PowerShell, PowerShell Parameters, Powershell Scripts. Bookmark the permalink.